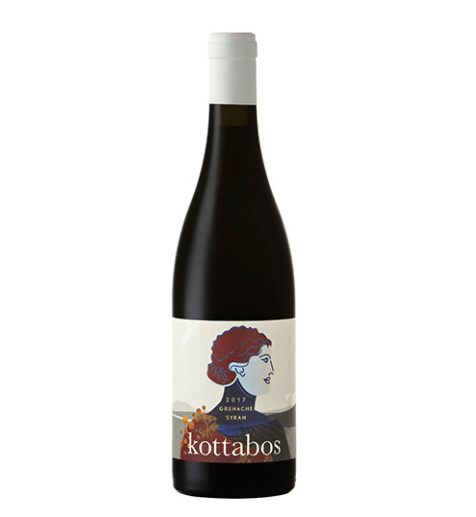 Kottabos Grenache-Syrah 2018 - Publik Wine. Here it is ! The lighter yet incredibly complex red blend you’ve been looking for. Made by Reenen Borman of Boschkloof, who’s quickly made a name as one of the ‘new wave’ South African winemakers taking Stellenbosch into the future. The name refers to an ancient Greek drinking game (no jokes), but the wine is anything but playful. 87% Grenache and 13% Syrah fruit from the Polkadraai, made with a mix of whole-bunch fermentation and aged almost a year in old barrels. It’s delicate yet coarse, light yet layered – a contradiction of characters that somehow just comes together in a firecracker of a wine.